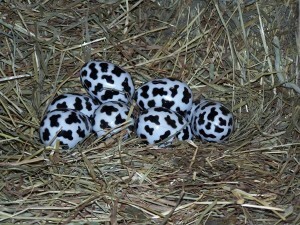 On the last trip to the barn to check the animals before going to Easter dinner I discovered something outrageous. 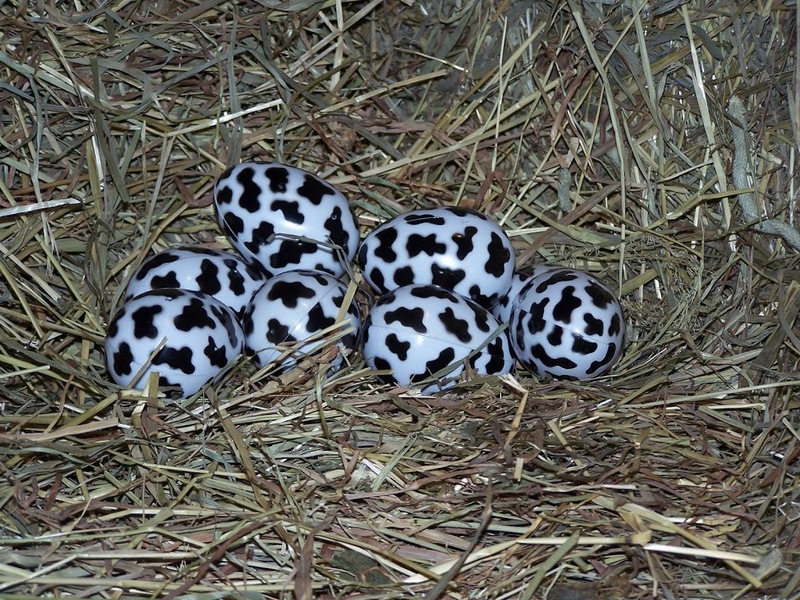 A sign of spring for sure…..
We better get stalls ready because looks like the herd at the dairy will be expanding by 8. Those are bonafide cow eggs ready to hatch, in two years they will mature and we will have Eggnog!